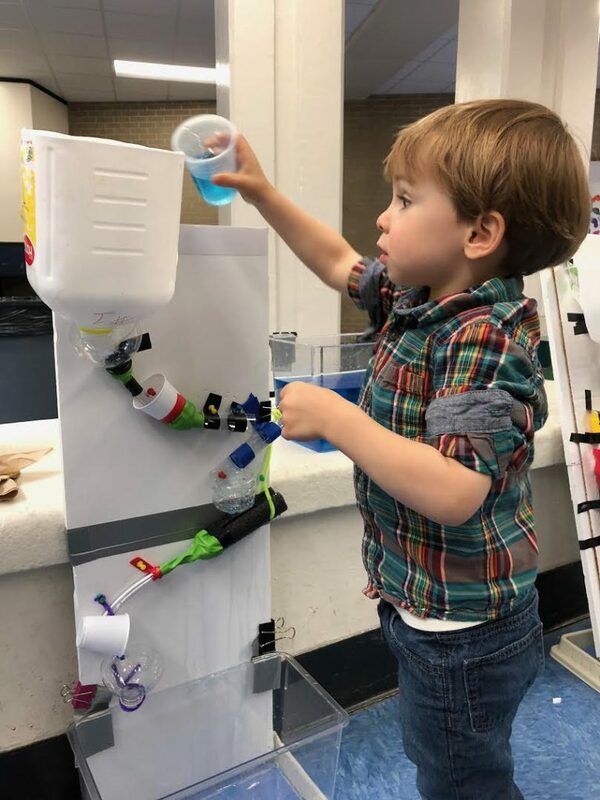 Young scientists and engineers from the local community attended the fourth annual STEM Fair & Challenge at Northport High School on Saturday, April 21. 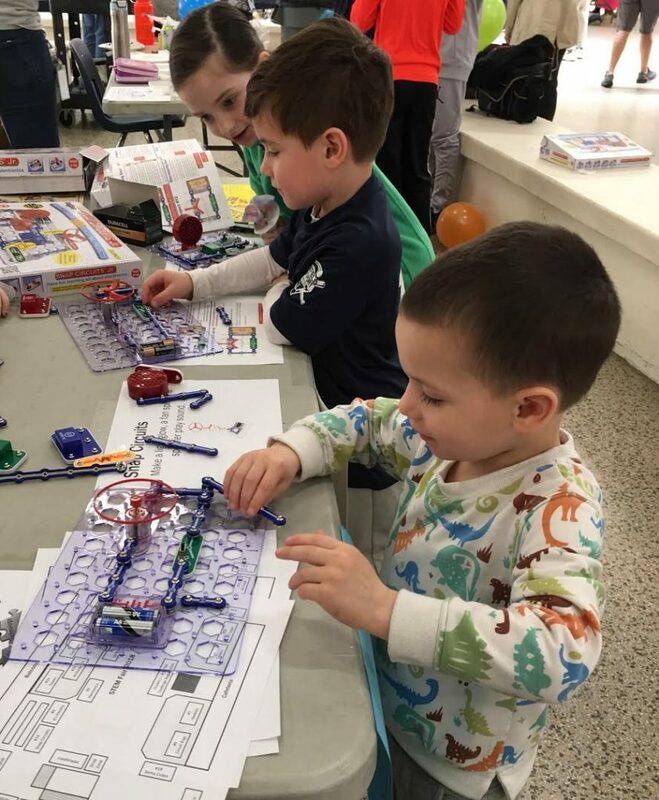 This year, the event was expanded to include a kindergarten through fourth grade fair in Northport High School’s commons, featuring 21 STEM activities. This portion was designed and facilitated by kindergarten through 12th-grade teachers, as well as students from the technology and engineering honor society and physics students. Children, along with their parents, had the opportunity to exercise creativity and problem-solving skills through hands-on experience with VEX robotics, Scratch coding, laser mazes, flower chromatography, hover balloons, and more. In addition, the Cyberian Tigers, the high school robotics team, demonstrated their fifth–generation robot to the young learners in attendance. This robot that reached the quarterfinals at the regional competition at Hofstra University, was made available for students to control and drive. 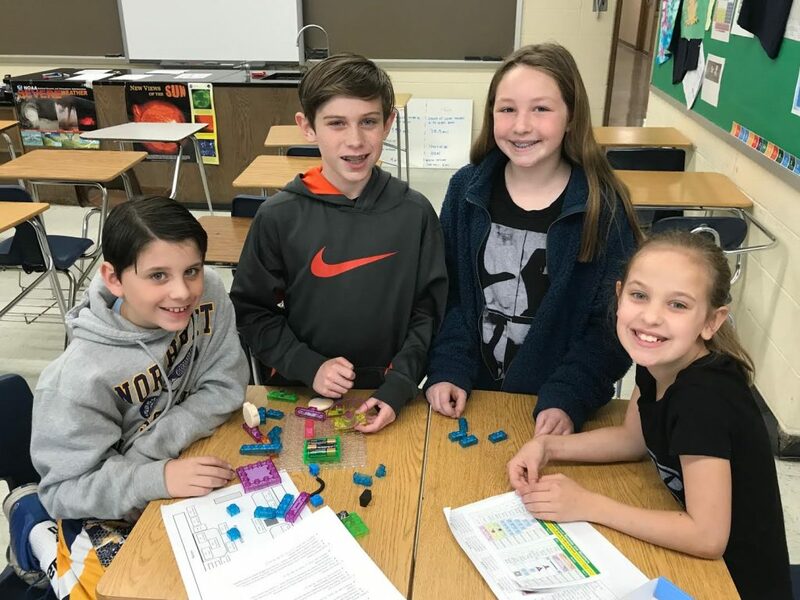 Children had the opportunity to exercise creativity and problem-solving skills through hands-on experience at Northport-East Northport School District’s annual STEM Fair & Challenge. Students tackled a switchboard activity at Northport High School’s annual STEM Fair & Challenge on April 21. 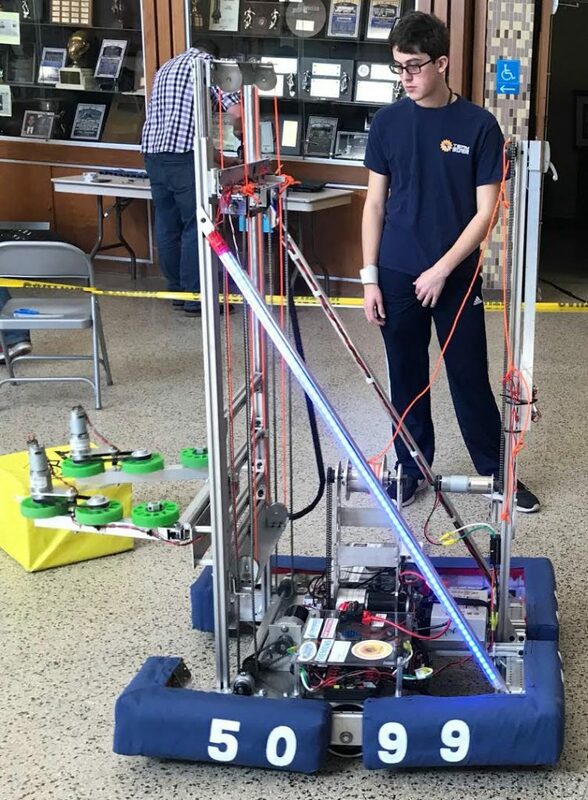 Northport High School’s Cyberian Tigers demonstrated their fifth-generation robot to the young learners at the STEM Fair & Challenge on April 21.